Need cash quickly? Bring your taxes to us and don’t worry about any waiting period, receive your return the same day! Let Orlando help you to construct your own Debt Cash Flow Management process and be two steps ahead of the cash strap day to day living. Learn to decipher good debt from bad debt, and assess probable credit worthiness. We will electronically file your tax return to ensure the fastest results possible! 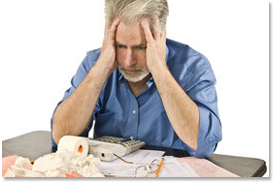 Want to know how to decrease your tax bill for next year? by phone 519-624-8298 or by email, .